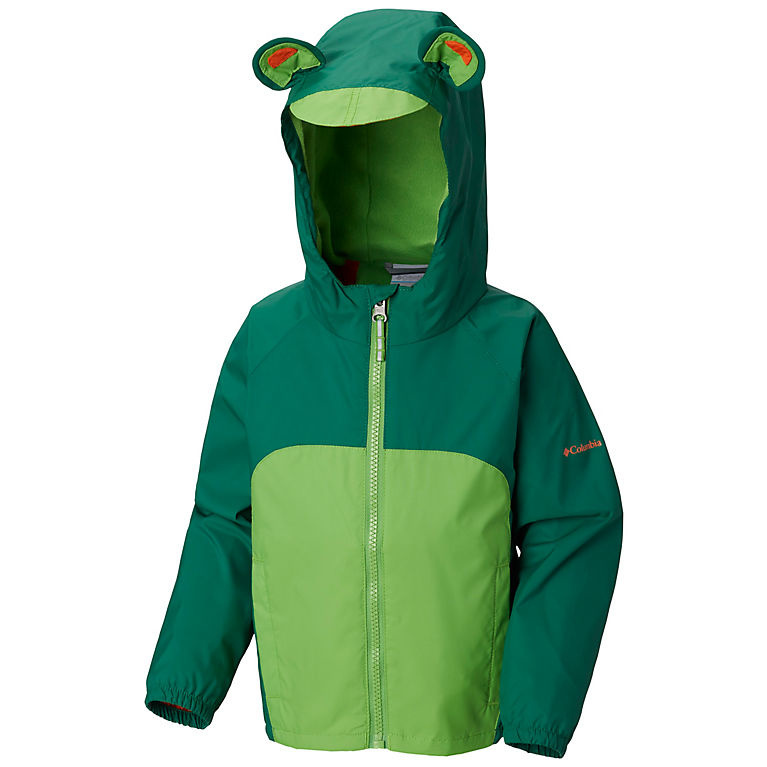 Spring rain-ready jacket is crafted of a hydrophobic nylon shell and seam sealed for waterproof performance. 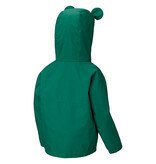 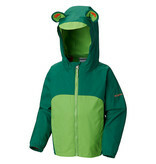 Your busy toddler will cozy up in a soft fleece lining while the attached hood and drop-trail hem add extra protection. 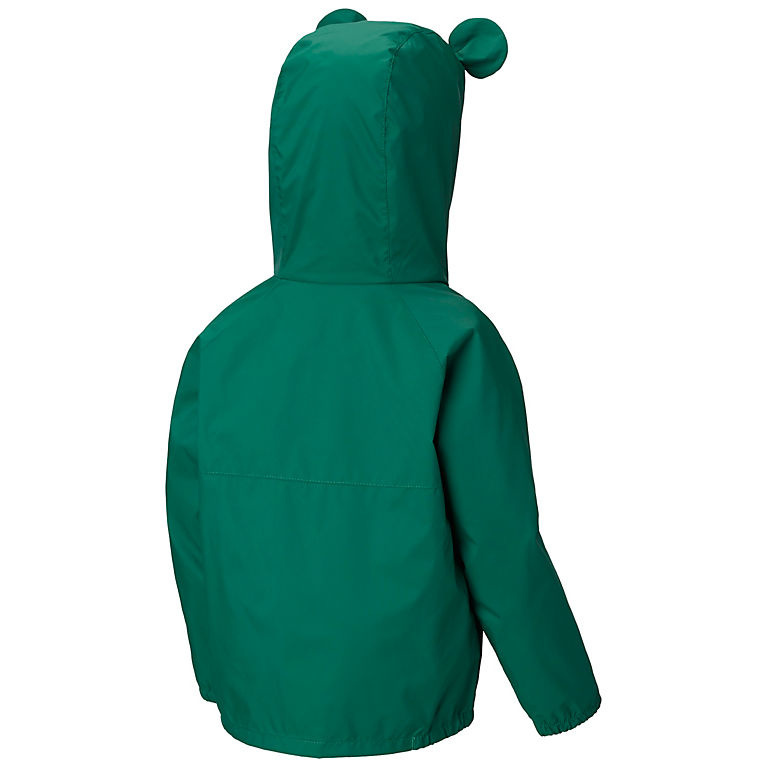 Center back length: 15.5 in.